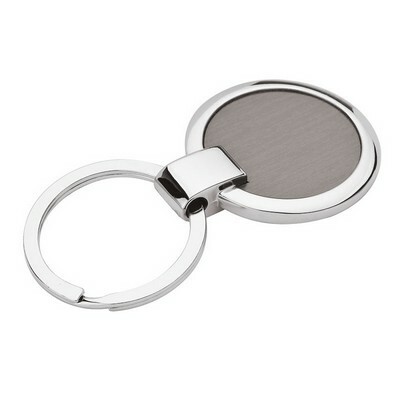 This Elda Keyring features stunning two-tone metal makes your logo a sharp spectacle and their keyring an object of luxury. 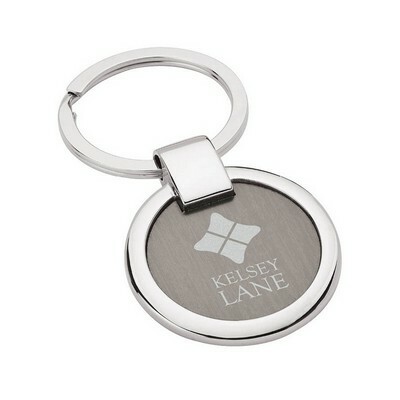 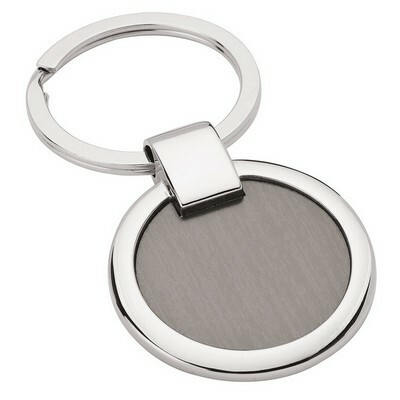 The laser-engraved keychain gleams with a shiny nickel finish and brushed aluminum gunmetal plate. Insert your company details to create impressive Custom Logo Products.